When it comes to makeup brushes I’m really fussy, I like to stick to the brands I like and trust and don’t tend to venture out of them – something which is surprising being the makeup addict I am! 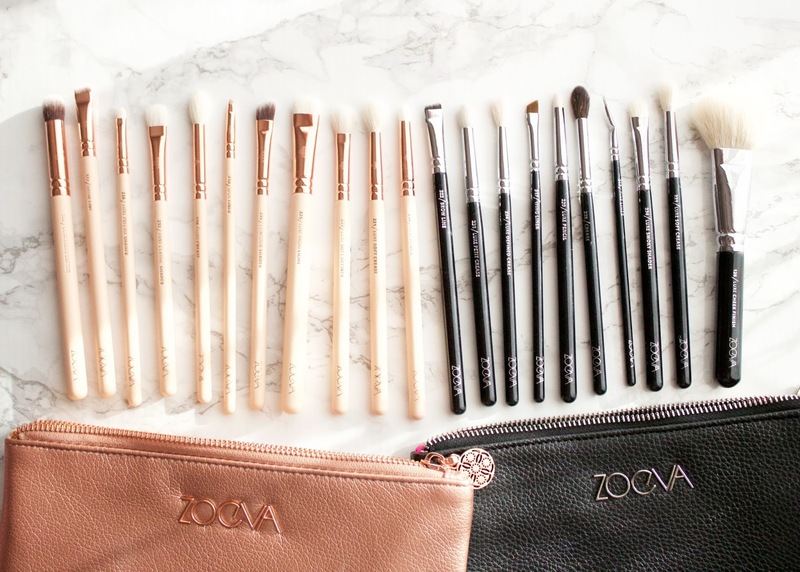 Zoeva are one of the brands I’ve loved dearly for many years and they’ve always impressed me when I’ve added new brushes to my collection. The thing I love about Zoeva (other than the fact they’re brushes are freakin amazeballs) is the price, they’re super affordable compared to the likes of MAC, and in all honesty I have Zoeva brushes that I prefer over my MAC ones that only cost me a fraction of the price. As well as offering single brushes they also sell sets from basic eye brushes up to complete sets containing just about every eye and face brush you’ll ever need, which is a great option for fellow makeup artists. As well as the standard black and silver brushes, they also offer pink and silver, black and rose gold, pink and rose gold (my personal fave, obvs) and now taupe which has really caught me eye! I really can’t fault the quality of the brushes, in fact if I didn’t know I was using a Zoeva brush I’d have thought it had cost a lot more as they feel really high quality. They wash beautifully and manage to keep their shape. They’ve also lasted really well over time considering some of them are 3 maybe even 4 years old and they’re still going strong and get used almost daily. As you can see from the picture, Zoeva eye brushes hold a very special place in my heart and are certainly my favourites. I’ve tried a few of the face brushes, although I’ve some how managed to lose most of them over the years and I’m now down to just one (how?!). I’ll certainly have to get around to trying more of the face ones, but I remember loving the ones I did have. I think Zoeva are a great brand for brushes and I strongly recommend giving them a try. I have a post going up next week talking about my favourite brushes from the brand so keep your eyes peeled for that! Have you tried Zoeva, if so what’s your favourite brush?